How to Create a Fake iMessage on iOS 12/11/10? How To Read Erased Text Messages on iPhone? How to See WhatsApp Deleted Messages? How to Delete iMessage History on Mac or iPhone/iPad? How to Delete Text Messages on iPhone? iPhone have a built-in feature that makes it easy for users to read a new message quickly without unlocking their device. However, some users don’t like this feature because they don’t want anyone else to see their messages. Such users will be glad to know that there are ways to make messages private on an iPhone. 3 Ways to Make Your Messages Private on iPhone? The feature mentioned above is called Message Preview. This feature is responsible for displaying a message without asking a user to unlock the device. You can disable this feature via your iPhone Settings app to make your messages private. 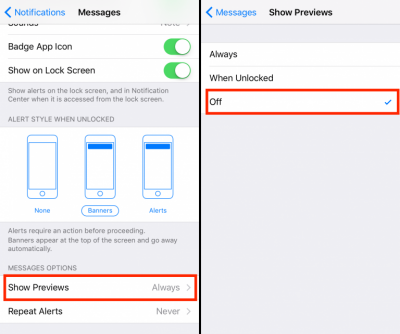 In the Messages section, you will see two options; you can either use the Message Preview feature to turn on for the Lock Screen or disable the feature completely. Follow the on-screen instructions to disable the feature. 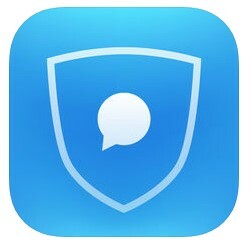 CoverMe is a popular iOS app available on App Store that can help you make your messages private. Apart from messages, the app also allows you to make secure and private phone calls, send disappearing messages, encrypt conversations, and much more. Send private messages as well as make all your messages private. Make private and secure phone calls. Recall sent messages as well as send disappearing messages. Privatext is another app that you can use to hide/secure your text messages and make them private on your iPhone. You can lock Privatext app, allowing you to enter a password in order to view your messages. Confirmation Texting feature double checks whether you are sending the message to your intended contact. 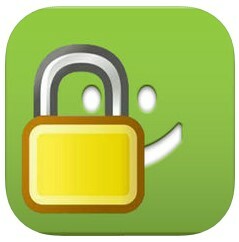 Share photos securely in your private messages. FreedomPop app works with or without the popular FreedomPop service. It allows you to make free calls and texts with your FreedomPop phone number. Free minutes that allow you to make free domestic calls to anyone in the US. 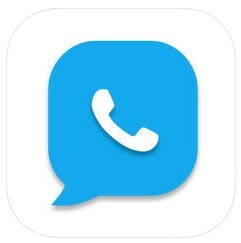 You get a free phone number via this app. The phone number could be from Spain, UK, or US. Share your new number with your contacts. No contracts, no fees, no spam. Private Message Box allows you to hide your private text messages with ease. Your messages are locked behind a PIN pad and can only be accessed by providing the correct PIN. Hide your messages and make them private conveniently. All your conversations with PSB contacts are secure and secret. PSB app users can send each other free texts. Tons of emoji characters to choose from. Vault can hide your photos, videos, messages, contacts, and other important data and protect it via a password. The app is quite popular due to its security, efficiency, and ease of use. Make your messages private and hide them in a secure vault that can only be unlocked via a password. Backup your videos, photos, and other secure data on Cloud. Vault can also be unlocked with Touch ID. Import multiple items simultaneously to the Vault. Messages app of iPhone does not delete your messages permanently which means they can be recovered via a data recovery software. This could lead to privacy leak. If you want to protect your privacy and want to delete your messages permanently, then it is recommended that you use iMyFone Umate Pro. This ultimate iPhone data erasing tool allows you to erase any type of data from your iPhone permanently. 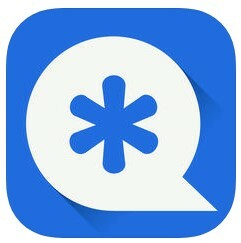 Permanently erase all your iMessages as well as your entire conversation history at the same time. Permanently erase your previously deleted messages to make them 100% unrecoverable. You can preview/read your messages before you permanently erase them. This will help prevent accidental deletion of your important messages. Permanently erase all kinds of data from your iDevice, including call history, notes, photos, videos, music, playlists, browser history/cache, and more. Free up space on your iDevice and boost its performance via 1-Click Free Up Space mode. Step 1. Connect your iPhone and open iMyFone Umate Pro. Step 2. Select Erase Private Data mode and click on Erase button. It will scan all your private data on your iPhone, including Messages, Call History, Photos, Videos, Third-party App Messages, etc. Step 3. After the scan process, select the Messages you want to delete and click on Erase Now to proceed.